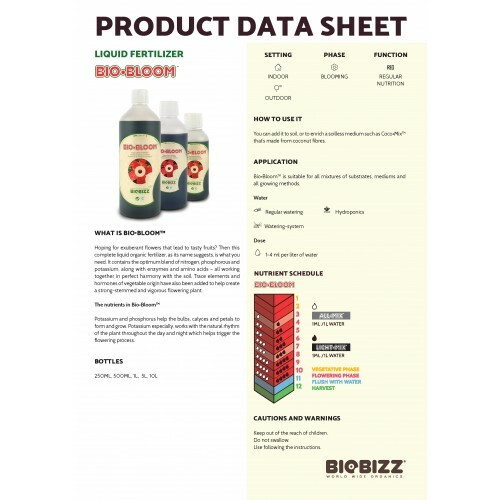 Bio Bloom is an independently working fertilizer that can be used from the flowering period up to harvest. You can add it to soil, or to enrich a soilless medium such as Coco Mix that’s made from coconut fibres. 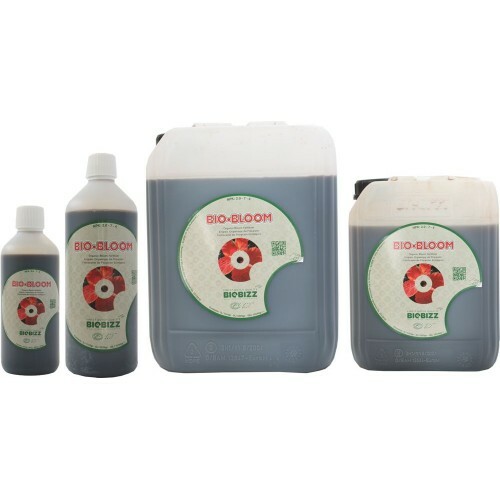 Biobizz advise 2-4ml Bio Bloom per 1 litre approximately of water. But follow our feeding chart on the pack for the best results.